The Murder Capital are part of something very powerful that is sizzling in Dublin right now. The city hosts some of the most compulsive and original new music in Europe, it’s a wave of freshly-discovered post-punk bands that are proud of where they come from, proud to have their own sound and identity. Their songs depict Dublin’s underlying sense of disillusionment, but they also act as a vehicle for a wider creative, cultural and social agenda. Subjectivity is at the heart of what’s on display as is the documentation through literary and musical expression, portraying the city and showing what it’s like to be young there. For James, the band’s frontman, the role of literature is paramount and lyrics permeate every aspect of the band’s performances. If there is a lot to be angry or unhappy about, anger only covers one aspect of The Murder Capital’s wide-reaching palette of emotional expression. The band’s debut single release Feeling Fades excites and initiates a craving for more, but the dark, hypnotic Joy Division-esque sentiments only form part of their influences. In fact, the inspiration is manifold, the derivation of ideas is multi-disciplinary and do not only originate from music. Sharing the stage with Slaves, Shame as well as fellow countrymen Fontaines D.C., an appearance at Eurosonic and recent tour dates are highlights of their nascent career. 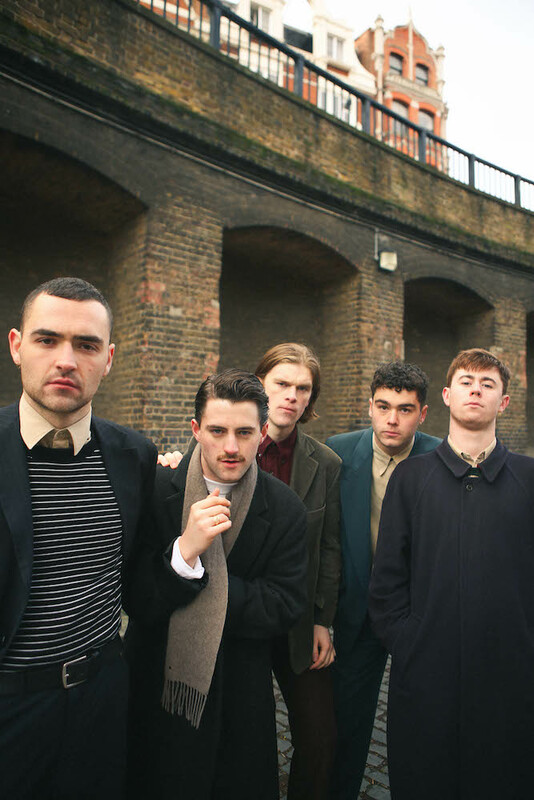 The propulsive five band members have been generating plenty of interest and curiosity, and this year should see them take things further; a live date with Idles, summer festival appearances and new releases. The full effects of austerity and the recent recession are no doubt real, but this musical landscape is driven by stronger elements such as authenticity, lyrics and individuality.